WordPress is used on 50% of sites across the entire internet according to BuiltWith – that’s an incredible statistic. With such a large amount of users comes a huge amount of plugins. But whilst it’s such a common CMS, it can be a struggle to find what plugins you should be using on your sites. Thankfully, over the years I’ve sifted through the best and worst plugins. 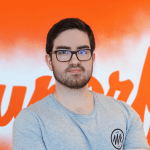 Yoast SEO – This plugin is hands down the best SEO plugin for WordPress. I’ve used a bunch of different ones, but none compare. Yoast SEO makes some of the basic SEO related changes simple to make – adjust your individual page’s title tags, meta descriptions etc. The traffic light system helps those new to SEO tell whether a page is well optimised or not. Yoast also generates your XML sitemap for you, something every site should have. Compress JPEG & PNG images – One of the best ways to help speed up your site is to compress your images. Did you know images can be optimised by stripping away pointless file information and other bits and bobs to reduce the file size significantly whilst still maintaining the image quality? This plugin does just that automatically for you. Grab a free API key (500 compressions a month) from TinyPNG and you’re good to go. Any images you upload to your WordPress site will automatically be compressed, or you can go back and manually compress an image, and even bulk compress your entire library of images. A great way to speed up your website, good for both the user and Google. Akismet – A great way to prevent spam comments on your blog. Akismet checks your comments against their own web service to see if they look like spam or not, then filters those out which do. Each comment can be manually reviewed if necessary. Whilst it’s not foolproof, it’s one of the most successful ways to reduce spam on your site. I also recommend adding Google’s ReCaptcha to your contact forms. 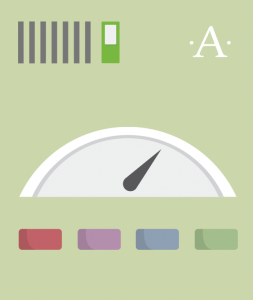 WP Fastest Cache – Implementing caching is another great way to speed up your site. Caching creates static html files so the site doesn’t need to dynamically load each page every time someone visits it, unless the page changes (e.g text is updated). Fastest Cache is one of the simplest and most effective caching plugins I’ve used. Whilst others have resulted in broken elements on sites, or caused server strain which actually ends up slowing down sites, Fastest Cache is lightweight, simple, and effective. It’s regularly updated and the developer provides great support with constant fixes and new features. WP Limit Login Attempts – One of the most common forms of hacking a username and password is a ‘brute force attack’ – these are where a computer attempts to use randomly generated usernames/passwords at an extremely rapid rate to eventually get into a site. This plugin blocks an individual user from logging in for a short period (10 minutes by default) if they get the username/password wrong too many times. – Whilst not an essential plugin, WP-Optimize is a database cleanup and optimisation tool. WordPress databases can get clogged up over months and years with draft posts, pages, spam comments etc. WP-Optimize can quickly and easily clean up your database, to ensure your site is running smoothly. Wordfence – Due to the popularity of WordPress hackers are regularly coming up with new exploits and ways to run malicious code on your site. 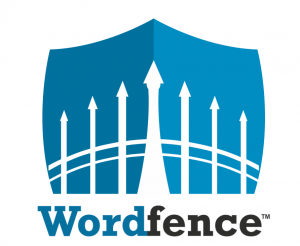 Wordfence protects your website from hacks and malware. It features a firewall, real-time blocking, automatic site scanning and more. It’s already saved a number of our client’s sites and is well worth having. Let us know in the comments below which WordPress plugins you consider to be essential. If you need any help with your WordPress site, get in touch! Thanks for the recommendation Julia! We’re big fans of Formidable Pro here – although it costs, its storage of all entries in the back-end is v.handy!